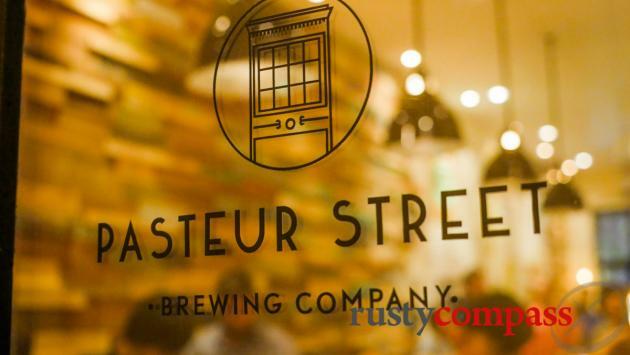 American craft brewing arrived in Saigon in the form of the Pasteur Street Brewing Company back in 2015. And these guys quickly made their presence felt across the country. 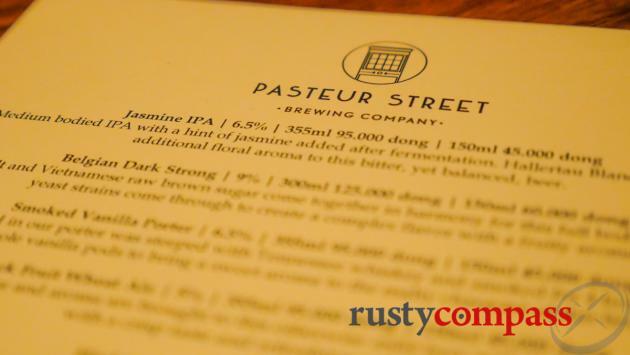 Now there are loads of craft breweries but Pasteur St continues to make a big noise from its now-expanded Saigon base. Swing by for beers, food and regular events. In addition to expanding their downtown birthplace, Pasteur St has opened in Saigon's District 2 and District 7. I was wondering how the long-deceased Louis Pasteur would feel knowing that the Saigon street in which his people played with chemical potions to cure the world’s ills - there's still a Pasteur Insitute at the opposite end of Pasteur St - is now home to a different form of fermentational experimentation. 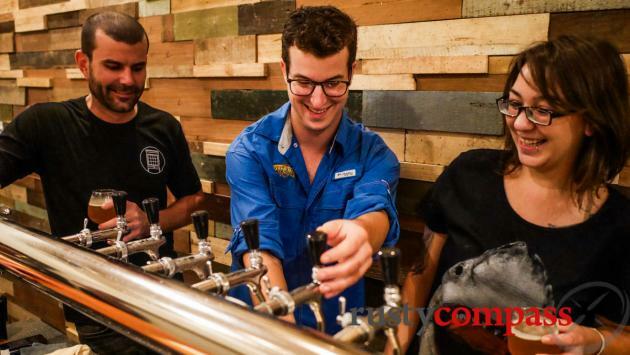 Alex Violette, brewmaster and co-owner of the Pasteur Street Brewing company, quickly relieved me of my curiosity. He told me that the great French chemist and microbiologist, who remains one of a handful of his countrymen to continue to have a presence in Vietnamese street names, also produced one of the world’s first guides to the brewing of beer. This is no joke. 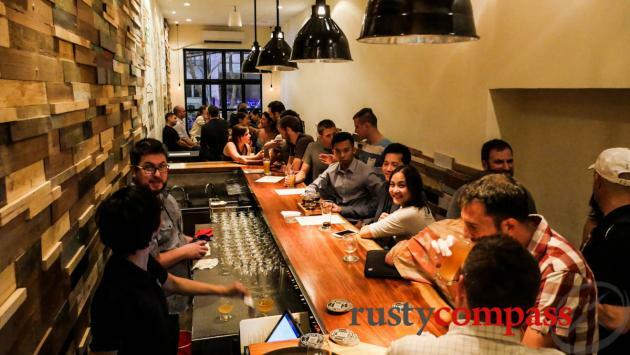 It seems that a craft brewery named after the great man is a good fit on Pasteur St.
Saigon’s eternally thirsty expat community and an increasing number of locals, have embraced the arrival of Pasteur St with fervour too. 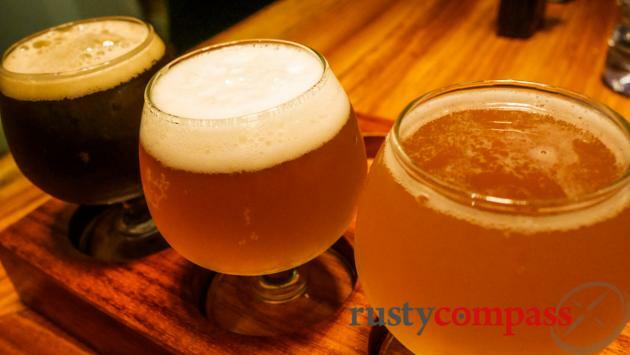 If you’re a traveller tiring of mainstream lager, a stop by Pasteur St might be just the tonic. There’s some interesting experimentation under way. On my most recent visit, my drinking companions were sampling approvingly a passionfruit drop. I was very pleased with a more traditional potion. Caution is recommended. These beers have been known to cause a premature wobble. The owners call the space a tasting room. It’s tiny - and the punters are taking a very liberal view of what constitutes tasting. It can get very noisy on weekends when things are busy. The tap room has expanded into the alley. There's a smoking area on the rooftop. There’s a tasty selection of bar food available. Rusty Compass reviews are always independent and disclosure is important to us. On my third visit to Pasteur Street Brewing Company, I received a couple of free beers from the owners. We have neither sought nor received any inducement financial or otherwise to publish this review.